Blair High School Choir completes the ALS Ice Bucket Challenge pouring ice and water on themselves and each other. The choir raised over $1.500 in a challenge against four other schools. 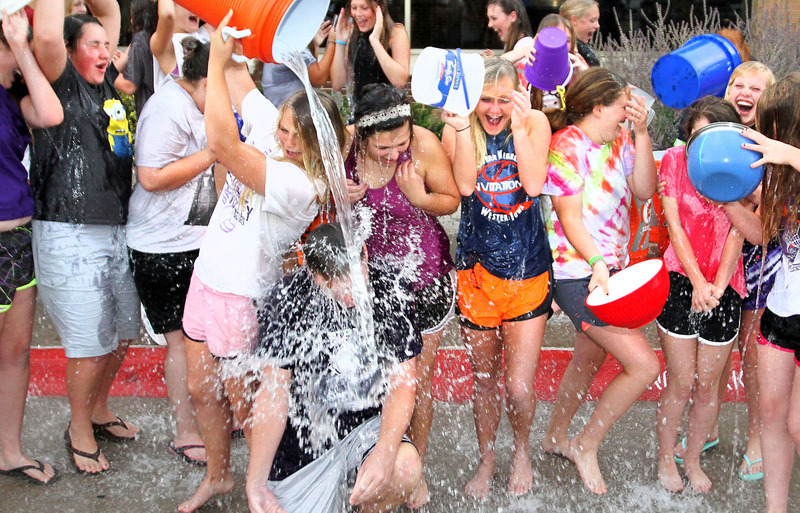 Blair High School director and choir members took the ALS Ice Bucket challenge and competed against other area school choirs to raise the most cash for ALS. Blair raised $1512 to donate to ALS. which was more than the choirs from than Millard South, Fremont, Omaha Burke, And Bellevue West. By winning the challenge to raise the most money, choir director Dan Hutsell said that the directors and choirs at these other schools will wear Blair Purple for one of their concerts this year. The total raised from the five schools was $5,168, he said. Choir director Dan Hutsell gets soaked with three buckets of ice and water. Vice Principal Mark Gutschow gets soaked with one of three buckets of ice and water. English Teacher Jenny Bruck takes the ALS Ice bucket challenge. 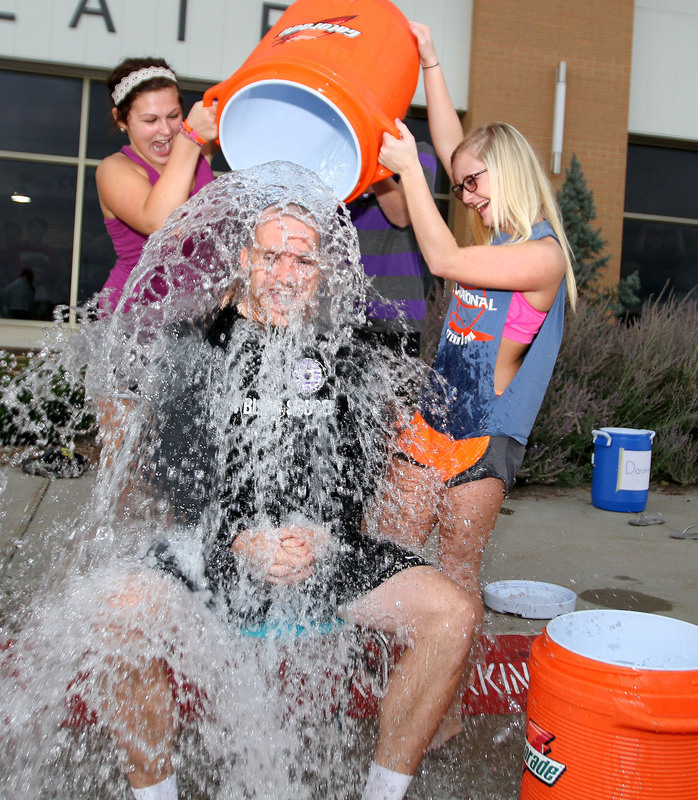 Blair High School teacher Kyle Johnson was one of five staff members to take the ALS Ice Bucket Challenge. 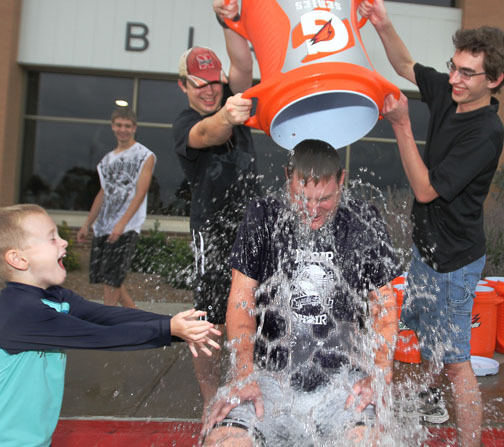 Dan Hutsell takes another bucket of ice and water to the delight of Dan’s young son.